Al Rayyan Pools quality standards right from procuring equipment and materials, through out the design and construction phase and after installation are uncompromising. 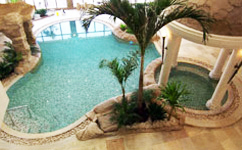 You are at the site of Qatar's most trusted swimming pool specialist, Al Rayyan Pools. A hearty welcome.As the subsidiary of the Al Sulaiteen Group of companies started in 1987, with over 31 years of dedicated quality standards, Al Rayyan is the most preferred pool specialist with in-depth knowledge of the unique pool requirements of the Qatar terrain. 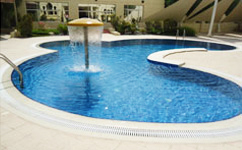 Al Rayyan Pools have set industry standards over the years.